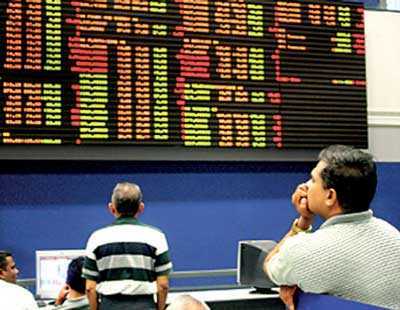 Reuters: Sri Lanka’s share index fell for a fourth straight session on Thursday to a more than 6-year closing low as investors exited the island nation’s risky assets, while they awaited cues from the third and final vote on the 2019 Budget, market sources said. The Colombo Stock Exchange index fell 0.36% to 5,571.30, hovering near its lowest close since 26 December 2012. The benchmark stock index fell 1.85% last week, recording its sixth straight weekly drop. It has declined 7.95% so far this year. Turnover was Rs. 844.3 million ($4.74 million), more than last year’s daily average of Rs. 834 million. Foreign investors bought a net Rs. 1.7 million worth of shares on Thursday but they have been net sellers of Rs. 6.15 billion worth of equities so far this year. Parliament last week passed the second reading of the 2019 Budget that raises spending while setting an ambitious goal to reduce a large fiscal deficit. The final vote is scheduled for 5 April. The stability of Prime Minister Ranil Wickremesinghe’s Government has been questioned by the Opposition since he was reinstated after a 51-day political crisis. The rupee ended firmer at 177.90/178.10 to the dollar on greenback selling by some banks, compared with Tuesday’s close of 178.40/50. Markets were closed on Wednesday for a public holiday. The rupee has climbed 2.64% this year as exporters converted dollars and foreign investors purchased government securities amid stabilising investor confidence after the country repaid a $1 billion sovereign bond in mid-January. Worries over heavy debt repayment after the 51-day political crisis that resulted in a series of credit-rating downgrades dented investor sentiment as the country struggled to repay its foreign loans. The rupee dropped 16% in 2018, and was one of the worst-performing currencies in Asia due to heavy foreign outflows.